South by Southwest Interactive director Hugh Forrest watched President Obama's State of the Union address in January more intently than he had in previous years. He was listening for clues. "There was a point," Forrest told Adweek, "where the president was talking about centers of innovation, and he said, 'Austin.' I thought, 'That's a good sign.'" It was a positive omen, for sure. 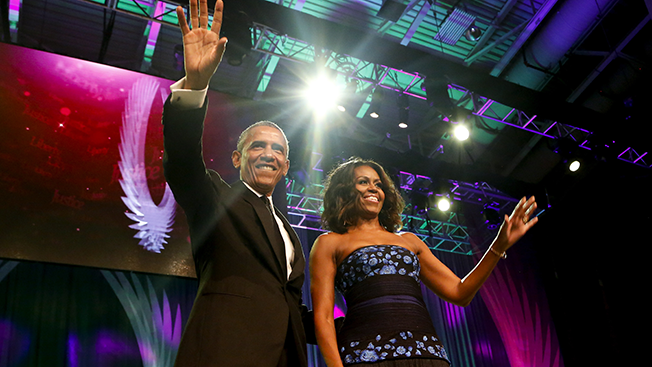 SXSW officials revealed Wednesday that Obama will speak at the interactive conference while first lady Michelle Obama will appear during the music portion. Forrest and his team had been communicating with the White House since late fall about bringing the president to SXSW before getting confirmation last week. The first lady's commitment came as a bit of surprise, Forrest noted. "I had been holding my breath on this for quite a while because we'd been down this path before, and then something would happen," he said. Indeed, SXSW's big "get" came as a result of building a relationship with the White House during the last several years, Forrest explained. The conference has regularly featured some of the president's senior staffers—chief technology officer Megan Smith spoke last year, for instance. As the relationship grew, Forrest and his team put in a request for POTUS. "We've had contact in previous years about whether this would work for 'senior officials' to come down to Austin, and there was interest—but the timing wasn't ever quite right," he said. "Fortunately, the timing has worked out for 2016, and we are excited about this." Where will the president appear? Forrest would only say that the time and location will be announced on Monday, but he offered a hint or two about the venue—and it doesn't sound like the Austin Convention Center. "If all goes as planned, it will be at a location that's conducive to a lot of our attendees being able to see the thing live," he said. "And it will be conducive to a very positive streaming experience for people who cannot make it [in] to watch this as it's happening." Could it take place in the Moody Theater, which has a capacity of 2,750, or outside? Wherever it happens, the Secret Service will need to sign off on the idea. And when it happens, technology will be at the center of Obama's message. "What he really wants to zero in on is encouraging digital creatives, geeks, entrepreneurs, founders and the next generation of tech startups to give back to government," Forrest said. Meanwhile, the SXSW director addressed concerns over how the already crowded event could take on the Obama hoopla. "We know that logistics and traffic at South by Southwest is difficult, as is," Forrest said. "This will create more logistical challenges. That said, having been in numerous, numerous, numerous conversations with the White House, they've got a lot of experience doing this. The president goes to Midtown Manhattan not infrequently, and they know how to deal with that. They can probably use an experience like that for an experience like South by Southwest."